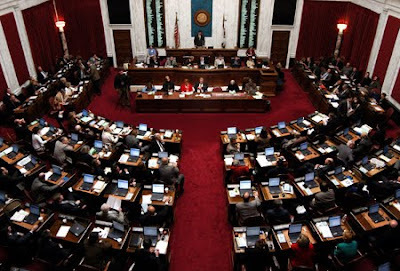 Four Republican members and one Independent member (who has consistently voted against every piece of horse racing legislation placed before him) of the House of Delegates General Laws’ Subcommittee on ABC/Gaming voted to “lay on the table” Senate Bill 513. The proposed legislation would have allowed Colonial Downs to conduct “historical horse racing” at is facilities. Republican Subcommittee chairman Del. Tom Gear and Democrat Del. William Barlow supported the legislation opposing the move to table. WAKE UP CALL: MAKE IT BETTER OR MAKE IT STOP? Nick Skias of Virginia Beach posted this thoughtful comment earlier in the week, and we thought it worthy of its own post. It seems that the Senate is always the easier hurdle. You would think with Virginia’s transportation in dire need of funding that more elected officials would get on board with this. 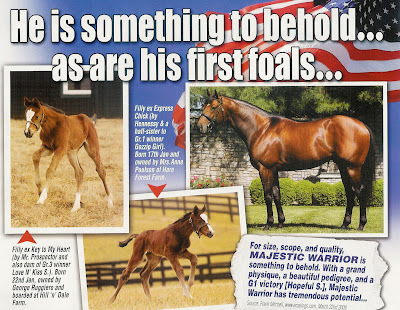 Anne Poulson’s filly by Majestic Warrior, out of Express Chick by Hennesy was one of the sire’s first foals. 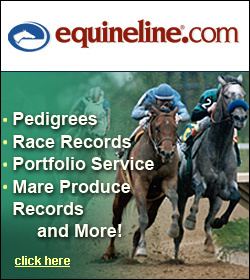 The handsome filly appeared in this add in several industry trades recently. To view the catalog pages, click here. Please check with the sale company for any scratches. 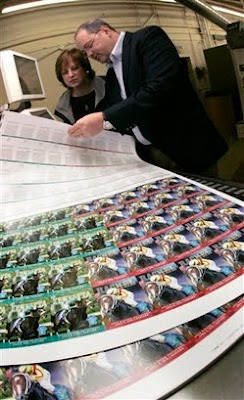 David Longinotti, assistant general manager at Oaklawn Park, right, and Kim Baron, the Hot Springs, Ark., thoroughbred race track’s marketing director, examine a printing run of trading cards showing Rachel Alexandra and Zenyatta at Arkansas Graphics in Little Rock, Ark., Wednesday, Feb. 24, 2010. 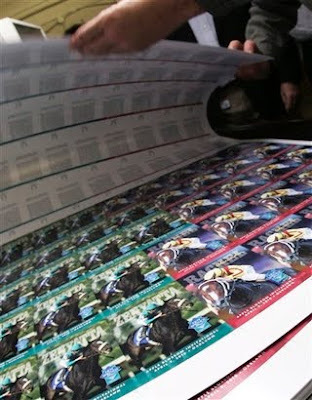 A run of 50,000 cards was printed to provide free souvenirs for the $5 million Apple Blossom Invitational to be run April 9. Elusive Gift (c, 5yo), Elusive Quality – Christmas Gift by Green Desert. B – Evans Edward P. Aqueduct, 2 /17/2010, alwc, $26,400, 6 f, 1:09.49. 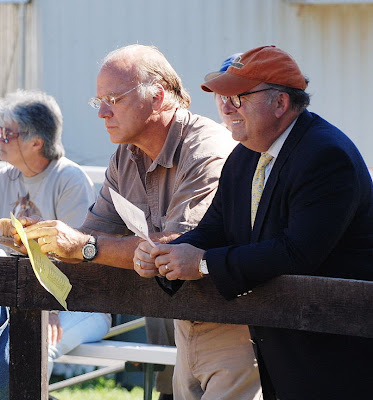 Wayne Chatfield-Taylor (pictured center with Pennsylvania horseman and breeder Rick Abbott) of Front Royal was elected the new president of the Virginia Thoroughbred Association at the Board of Directors meeting yesterday in Warrenton. Chatfield-Taylor and his wife, Susan Thomas Chatfield-Taylor, have been building and expanding Morgan’s Ford Farm for 30 years. 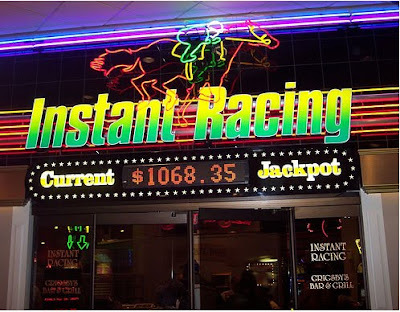 Last Friday, the Virginia Senate passed Senate Bill 513 which would allow “historical horseracing,” or Instant Racing as it is known at Oaklawn Park, at Colonial Downs and its OTBs by a 24-15 vote. The bill is a bipartisan compromise of two bills previously submitted by Senator Tommy Norment and Senator Mark Herring. 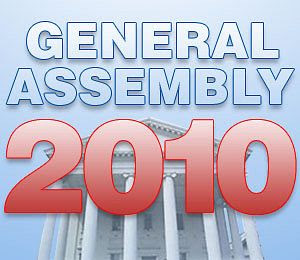 A similar bill has passed the Senate on two other occasions, but has been failed to reach the floor of the House of Delegates. 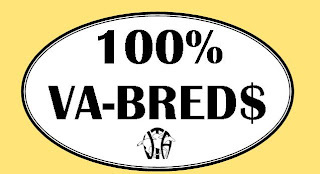 The VTA’s Virginia Breeders Fund Committee will meet on Friday, February 26 at noon at the VTA office in Warrenton. Establishing the Breeders Fund payouts annually involves the following process. The VTA’s Breeders Fund Committee meets and establishes recommendations for the program. The VTA committee passes those recommendations upstream to the VRC’s Breeders Fund Advisory Committee who then forwards their version to the full Virginia Racing Commission (VRC) for approval. The Associated Press has released their top ten Kentucky Derby contenders. Bob Baffert and Todd Pletcher are training six of the top 10 horses in the AP’s latest Run to the Roses list of Kentucky Derby contenders. Pletcher hit a trifecta Saturday with victories in three Derby preps. 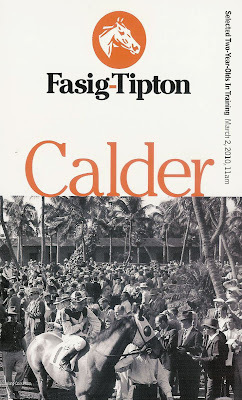 Eskendereya romped in the Fountain of Youth at Gulfstream Park, Discreetly Mine won the Risen Star at the Fair Grounds and Connemara took the El Camino Real at Golden Gate Fields.